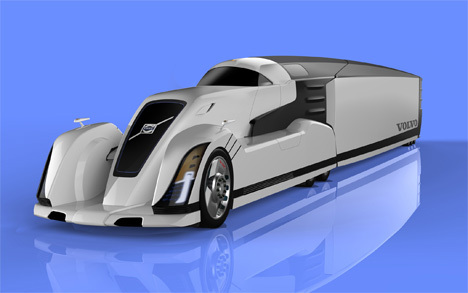 If automotive designer Nikita Kalinin has anything to say about the future of long-distance trucking, it will be an altogether greener and more stylish venture. 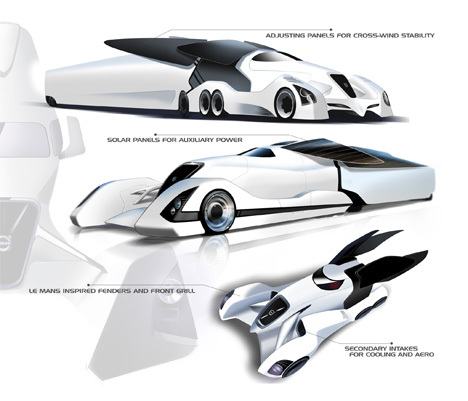 Kalinin’s “Skylon” concept, one of the entries in the 2010 Michelin Challenge Design, looks like a Mad Max type of future truck, only much prettier. 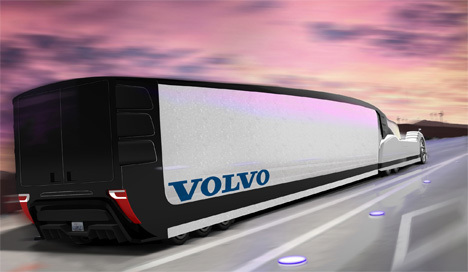 The truck’s body has been designed for maximum aerodynamic benefit, a feature which will minimize fuel costs. Massive solar panels are built into the roof and will power all secondary systems. The living space inside the cab is ideal for a driving team that can switch off sleeping and driving shifts to maximize the amount of road covered. Two fold-down beds, a lavatory and a small kitchenette make for a comfortable living area. There is only one seat in the driver’s area to allow for maximum visibility. It would also, we expect, keep arguments about the choice of radio station to a minimum between the two occupants. See more in Cars & Trucks or under Transportation. October, 2011.